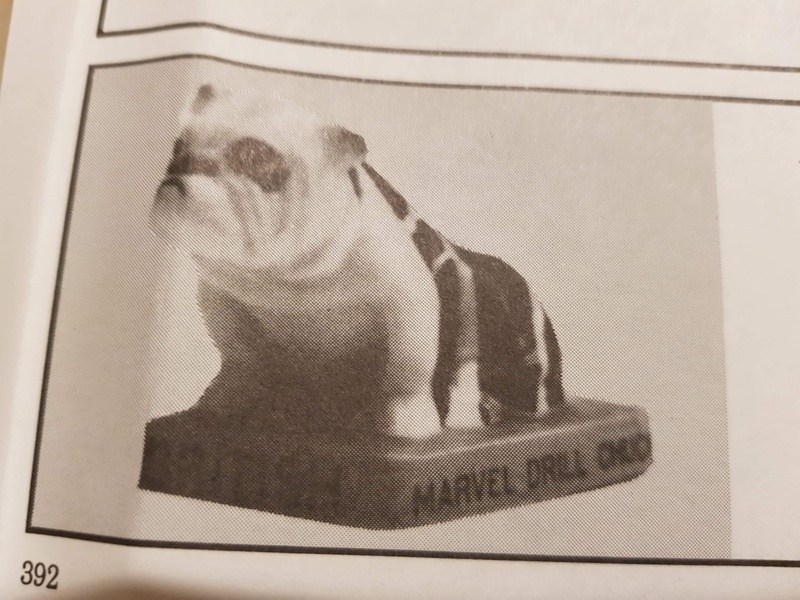 ROYAL DOULTON BULLDOG ADVERTISING! 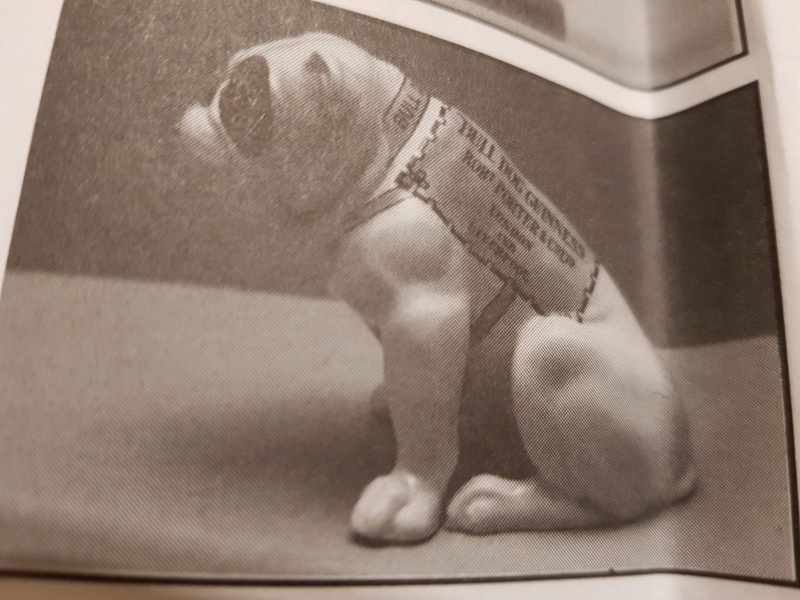 Hi there readers I hope as always everyone is well, thanks to research books and some time it’s been possible to Dig up some Royal Doulton Bulldog advertising pieces whom they were made for and when, I’m guessing this was a special commission based venture due to copyright yet many chose the bulldogs to advertise with. Guessing myself that many pieces made by pottery houses were for authors Beatrix potter and those pieces come to mind even when television came out there was a Royal Doulton Bulldog advertising Tom and Gerry the cartoon they actually made one thousand four hundred different animals and helped in the advertising world for many years. If you know Royal Doulton you’ll know they started out making drain pipes bed warmers and early earthen ware cheap pieces for day to day living, so from humble beginnings to becoming one of the worlds most sought after names Royal Doulton became a very collectible name especially after the introduction of their animal collections, dogs cats and lots of birds were a firm favourite as well as any royal pieces cows and equestrian pieces. 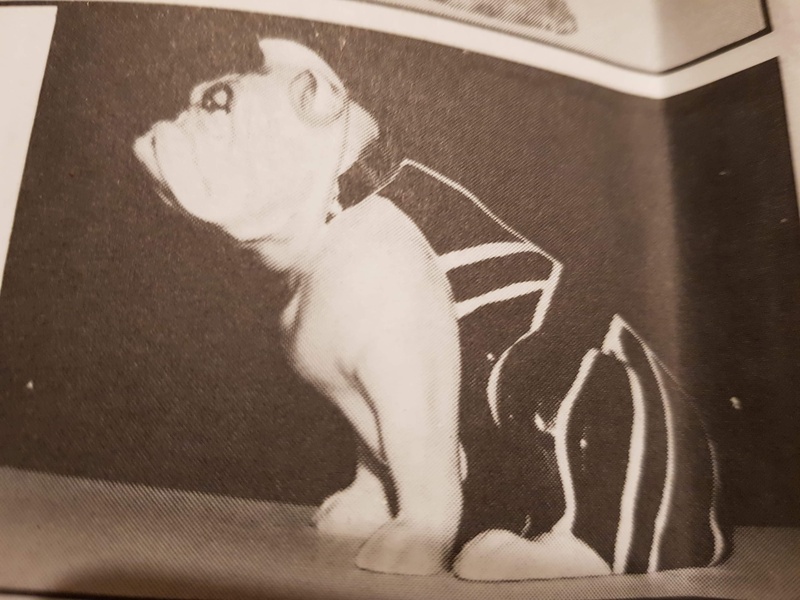 its widely believed that these Royal Doulton Bulldog advertising pieces or jugs as most of them were were not actually commissioned for the buyers themselves but to used in pubs back then these were mostly given to publicans and even company’s as far as Holland would get their version of this bulldog jug made ! If your homework on On Royal Doulton is spot on you will know back before 1956 The Royal Doulton Empire bought out many other smaller pottery factories even the mighty John Beswick sold he’s BESWICK brand to Doulton this is why I think most advertising pieces are now found from the USA I’m yet to find many other pottery houses that did advertising pieces. 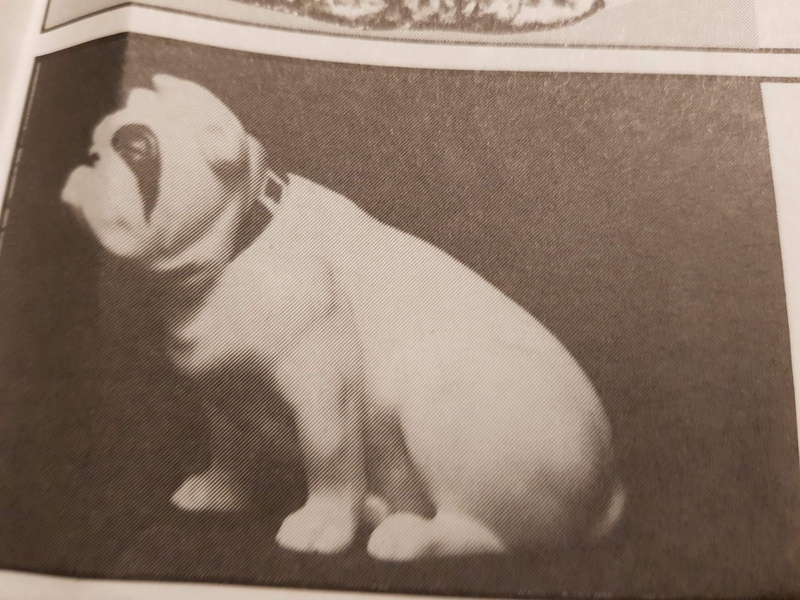 Royal Doulton Bulldog advertising pottery is highly sought after now, I wonder if back then they realised just how big the name Royal Doulton would become and why it’s in the top ten for searches, collectors want these rare pieces, the concept pieces and of course the few one of a kinds or made by a certain artist, be aware though as there have been fakes or reproductive pieces made since and you don’t want a doosy now. For decades now a panel of doulton experts teamed up with top sellers auctioneers and appraisal folk watch the market and see how supply and demand rules in the auction rooms, do not forget what you see being sold on eBay for a certain price may not be “today’s” or the current market retail prices, many of the pieces get sold between sellers some wanting a profit others for the love of the brand. 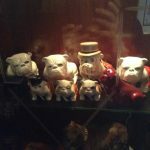 At Collectibulldogs we do not have hundreds of pieces like some of our collector friends but for the time given and some being a little rare we have picked up most of the mid price range pieces, there’s no Royal Doulton advertising pieces here we do not even have any concept or the translucent pieces but we do have a couple of gems hidden among ours. The brown and white 1956 piece (larger than the largest of the standing three) and late last year I was lucky to find HN 881 the little brown and white seated bulldog a few centre-meters higher than K1 and K2 but 20 times more expensive, we are also proud to have some full sets of free and I get the feeling others may get that the sets not complete until there’s three sizes sitting on the shelf. Such an interesting article Effion. thoroughly enjoyed reading about Royal Doulton,s beginnings and how their figurines were used in advertising.